We’ve just completed a tense election season. Political parties have been heavily divided and emotions high at the end of a lengthy campaign. But for Latter-day Saints, stakes have been even higher at the prospect of a Mormon president. I’ve looked through some items that occurred this week in Mormon history, and found much in common with today’s politics. For example, smart phones, cable news networks, and the Internet make election information readily available today. Wilford Woodruff also marveled at the electronic flow of election information in 1848. Many Latter-day saints had expressed great hopes in a Romney presidency, and have said they must now look to God in the face of his loss, as Wilford Woodruff did in 1888. From the returns of the Election it seems that the whole Country has gone republican. It does not look favorable for Utah or the Latter Day Saints But we must trust in God as we always have had to. And when election work out favorably, the hand of God was acknowledged. Debates can sometimes be feisty. Sometimes it can take a political party quite some time to concede a close race. Each side accuses the other of using deceptive means, and might counter through inflammatory rhetoric. Politics are running high. O. W. Powers is running the Democratic Party and seems to have perfectly pulled the wool over our brethrens eyes. … Powers is the chief scoundrel in Utah. Wicked, unscrupulous, bold, perfect master of political wire pulling, good judge of human nature and a faithful servant of the devil if he is not the Lucifer himself. Frustration can be expressed over the lack of cooperation between political parties. [John Henry Smith] The World is on fire today. I went to Republican headquarters in the evening and soon learned that everything all over the land was going Democratic. and for these apostles in 1893. [Franklin D. Richards] A vast & wonderful change has come over the whole political horizon of our land. This time it is the unprecedented manner in which Republicanism has rolled over the land in many States and in this Territory. [Francis M. Lyman] I find the citizens have knocked the Liberals out in the Salt Lake city elections all but Harry Duke. [Other local towns] have gone Republican with good prospects for Republican gains in the legislature. Is a very satisfactory vindication of Republican doctrine and methods. but it can be disappointing when things don’t go one’s way. [gave] the key note from the First Presidency upon division upon party lines so that it should be known that it was not wrong to be a Republican, Democrats felt that Democracy was our religion. but accusations of apostasy because of politics still persist. 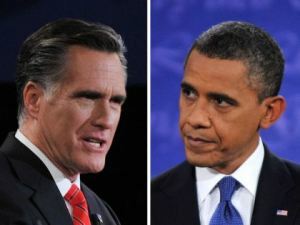 Future elections may not be as exciting for Mormons after Romney’s failed bid for the presidency. Hosea Stout recorded his apathy in the election following Joseph Smith’s presidential candidacy. This day decides who is Elected President of the United States for the next four years to come. I have not cast A vote for A President since this nation Shed the Blood of the Prophets Joseph And Hiram Smith Neither do I expect to. I spent the day at home while most men went to the Election. Those who don’t vote the party line can sometimes surprise themselves. There have always been concerns over voting irregularities. Sources mentioned are from the individual’s diary or journal unless otherwise noted. This entry was posted in History, Politics and tagged history, politics by Clair Barrus. Bookmark the permalink.